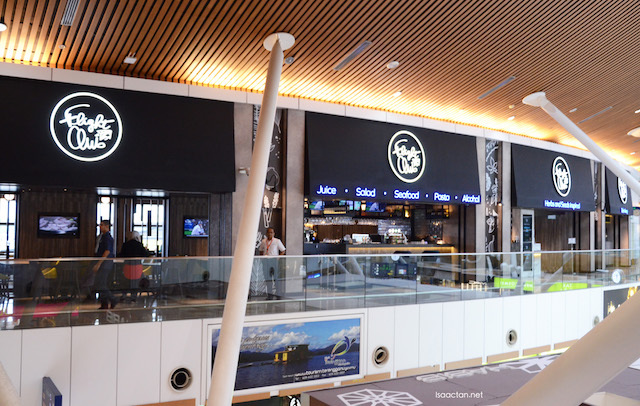 So there I was last week at KLIA to check out Flight Club, the latest innovation launched by Plaza Premium Group. 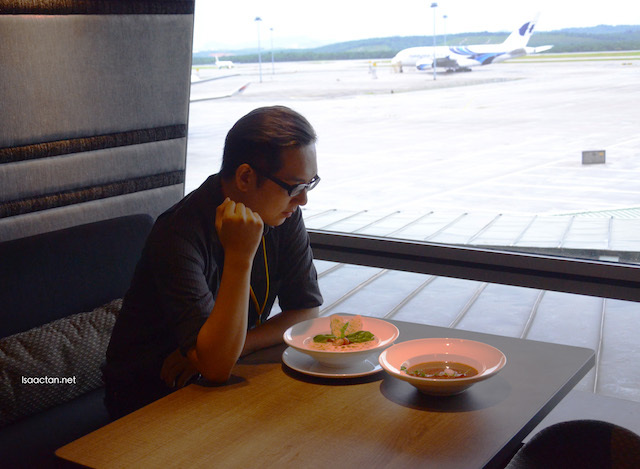 Located in KL International Airport (KLIA), Malaysia, Flight Club is a brand new dining concept unique to the airport environment. It's literally brand new, opening its doors to diners starting from October 15, 2015. The brand concept, inspired by herbs and seeds, promotes healthy dining, especially when travelling, and was developed with a thorough understanding of the travellers’ needs and requirements, as well as a study of the current global culinary trends. 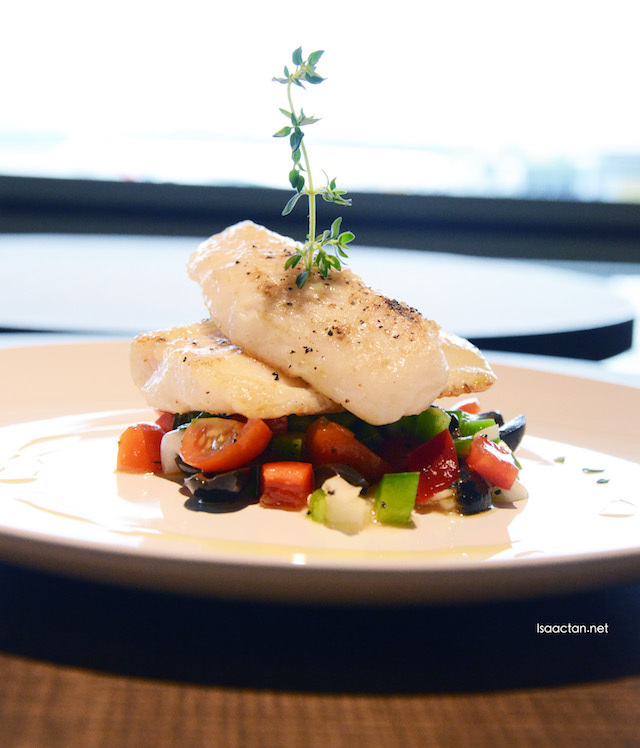 Located on the Mezzanine Level in the Satellite Building (International Departure) of KLIA, just across Plaza Premium Lounge, Flight Club showcases an enticing menu of western and international cuisine, with either herbs or seeds, or both, being featured in each dish. 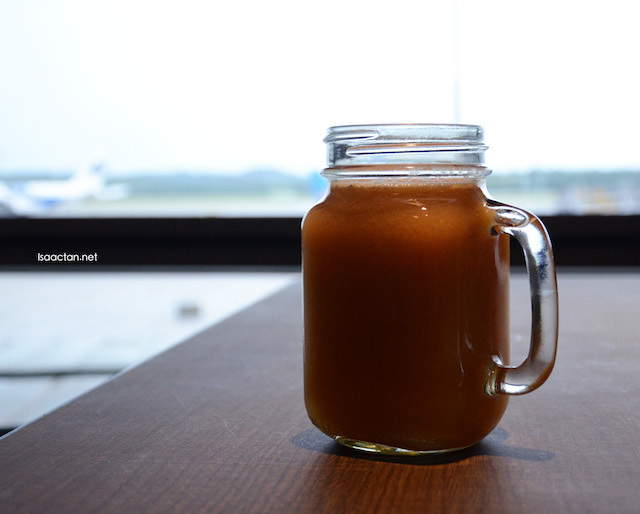 Emphasis on the use of herbs and seeds, such as rosemary, lemongrass, thyme, oregano, basil, chia seeds, sesame seeds, flax seeds, as well as natural and local ingredients is very evident in the creation of the dishes and beverages served in Flight Club. This extols the benefits of using these versatile components whilst creating a culinary educational experience for the guests travelling through the airport. 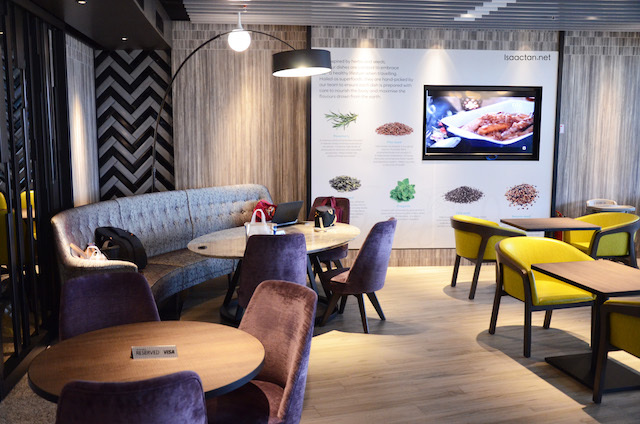 Informative mural boards about herbs and seeds are strategically placed within the restaurant with the aim to educate and transform the travellers’ eating habits for the better. “We believe that the healthy food journey can be a rewarding and educational one, as our guests will not only be able to experience the freshness and uniqueness of authentic seeds and herbs, but is accorded the flexibility to add these superfoods to their own choice of food or beverages” says Executive Chef, Danny Lau. 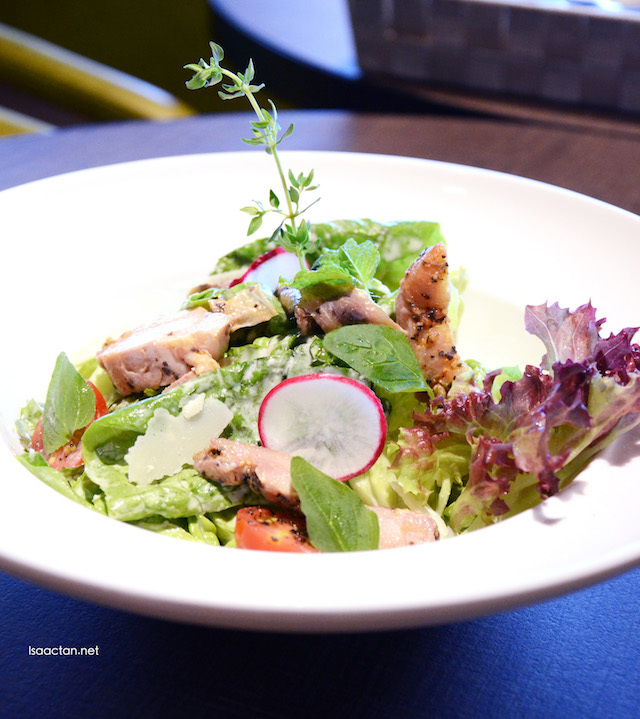 Chef Danny’s recommendations include ‘Hydroponic Baby Cos Caesar’s Style’ – the classic Caesar salad with a new twist of fresh hydroponic baby cos leaves, thinly sliced beef bacon, radish, highlands cherry tomatoes topped with home-roasted chicken and anchovy. Healthy, yet with some chicken breast meat to fill you up. An exotic combination of oriental flavours - Flight Club's Home Grown Farmer Tomatoes consist of a bird’s nest of papaya salad dressed with roasted ground peanut, tamarind sauce and tossed with mint leaf, this is one big bowl of healthy salad. I personally loved the tomatoes thrown in, as it was really fresh and sweet to the bite. 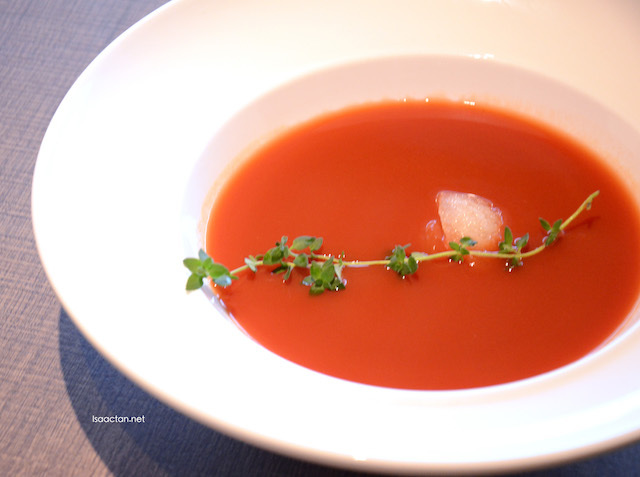 Aptly named the 6degrees Fresh Cameron Highland Tomato Soup, we had this farm styled tomato soup, served with homemade calamansi sorbet for that additional tang. I do prefer my soup piping hot, being the Chinese man that I am, it was a refreshing change to have cold tomato soup. 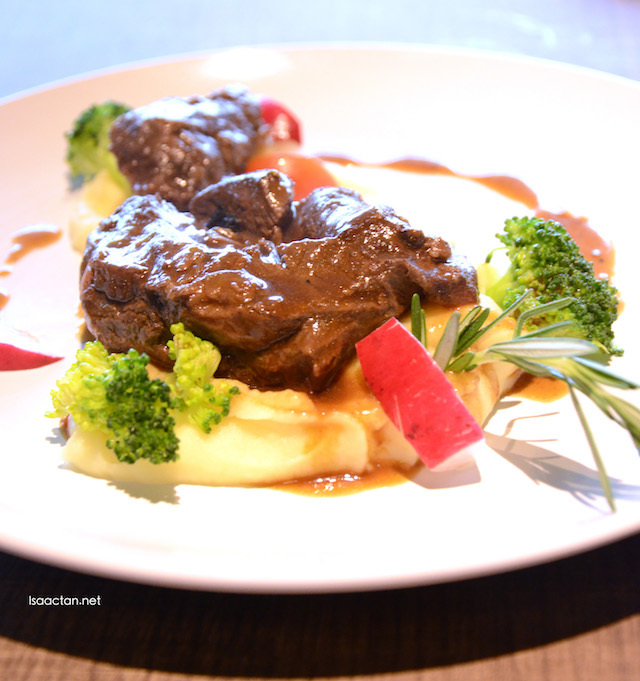 The 1824 Beef Cheek will appease any discerning diner; tender Australian grass-fed calf, marinated and braised in its juice with a combination of aromatic herbs resulting in a divine melt-in-the-mouth texture, served with couscous grain, buttered highland vegetables and miso gravy makes for an appetising and healthy meal at the airport. Another must-try for all seafood aficionados is the Grilled Sutchi Fillet, comprising marinated local flounder in a secret recipe of herbs, zesty lemon juice, sea salt, and grilled to perfection. The Englishman’s Fish & Chips is also another treat – perfectly coated in multi-grain light batter, it is served with a classic apple cider and tartar sauce. Squid Ink Pasta - artisan home-made pasta, coloured and flavoured with squid ink, is also a favourite, while local delights include Golden Fish Fillet Vermicelli Soup – vermicelli noodles in a double-boiled premium fish stock, served with a splash of evaporated milk, topped with coriander and smoked garlic oil. Flight Club's Prawn Risotto is served with freshly shaved Parmesan cheese and a hint of lemon and orange zest. 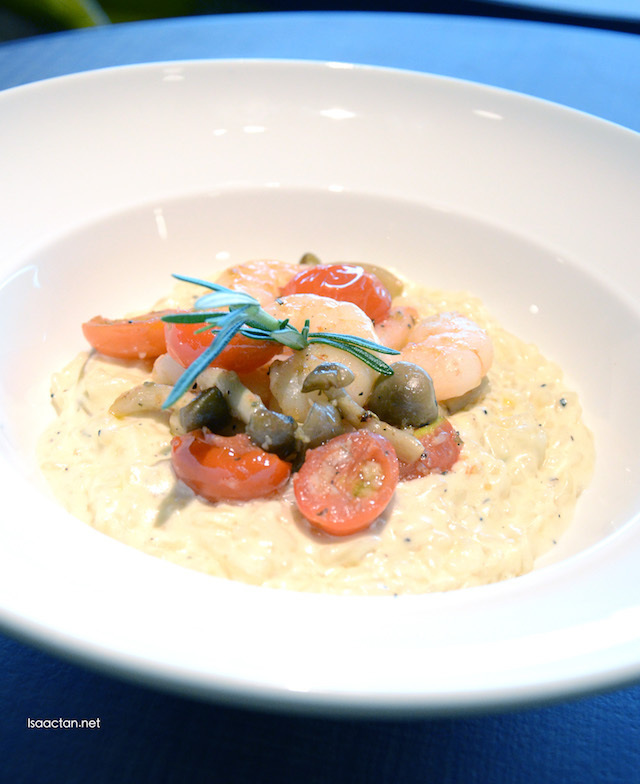 Fresh prawns were used, peeled and laid out beautifully on a bed of risotto, served in a bowl complete with tomatoes, and mushrooms. 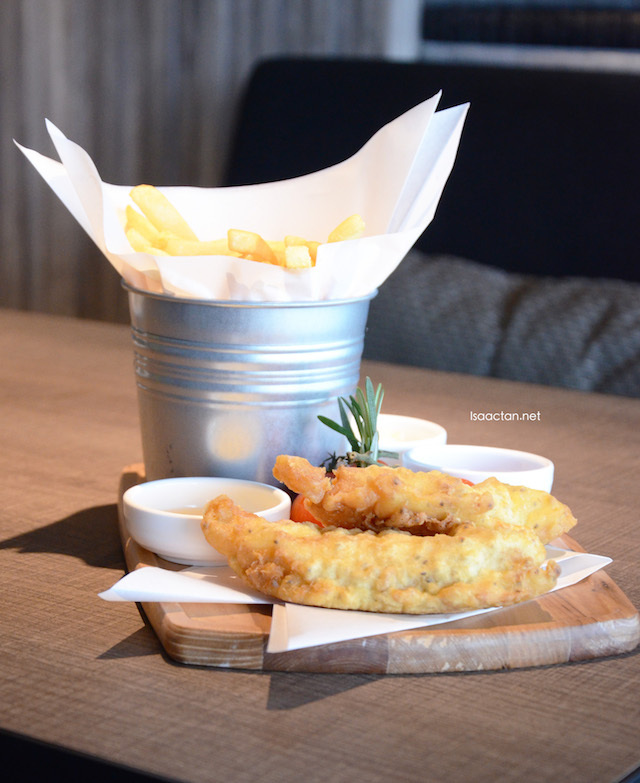 For those who prefer the ol' traditional fish & chips, do try out their Englishman’s Fish & Chips. River fish fillet is used, coated with multigrain seed batter, served with a classic apple cider vinaigrette and tartar sauce. Classic, yet very satisfying, especially when taken with the crispy fries. Designed after the comforts of home, this 3200 sq. 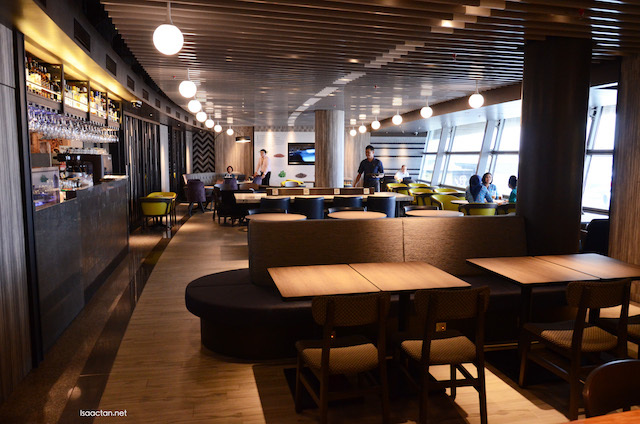 feet of casual and chic dining space seats more than 100 guests and welcomes all travellers to an inviting, warm and cosy ambience as they await their flight. The natural, fresh and rustic feeling reflects our pursuit of modern leisure whilst projecting a homey and sense of well-being for our guests. The large bay windows accord guests the view of the runway and the attentive service from our friendly team associates complete the experience. 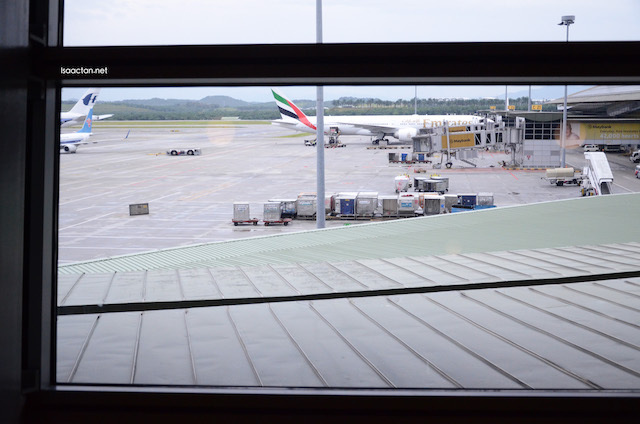 Airport conveniences such as charging stations, flight information display board, TV channels, a variety of magazines and newspapers and complimentary wi-fi are available for all guests. 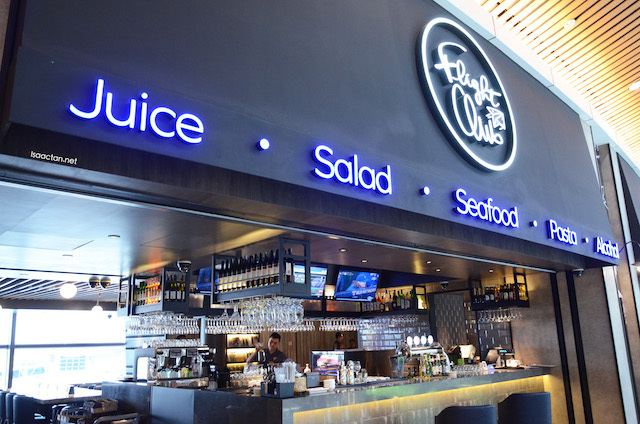 Do remember to drop by Flight Club by Plaza Premium Group @ KL International Airport (KLIA) the next time you are at the airport for some nice healthy food. International departure? I guess this is not accessible for those not flying overseas then. Can count me out, for one. Prices look ok - most of the time, if it is KLIA, the prices can be really shocking! A place for international tourists..will consider this restaurant if we have a long wait for our flight. 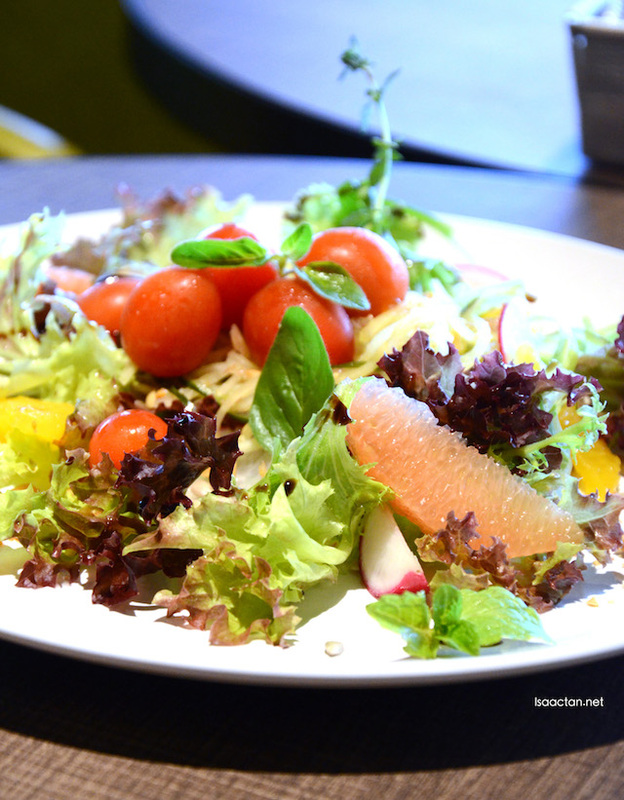 the concept of serving herbs as the major ingredients are very good & healthy. So what is the damage for all those food? Nice place to chill & hang out before flying off, like what you say enjoy some healthy food first. The food at the Flight Club looks pretty decent and reasonable for airport price. 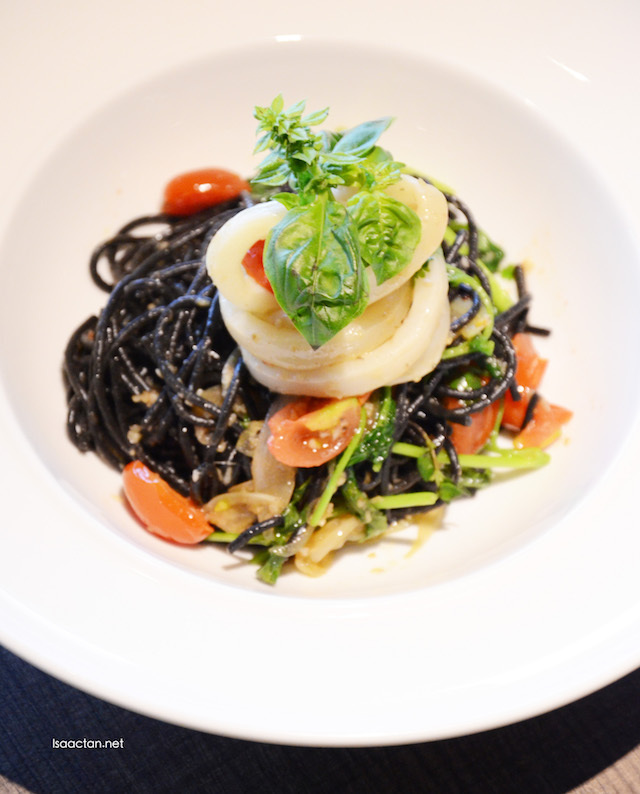 i want the squid ink pasta...look so yummy! Yes looks healthy. I love the ambience. Great meal for any great holiday indeed. Why do they call it Fight Club? But the view and the ambiance calls out to me. About time they open s healthy food joint where I can eat in at klia. Hopefully soon at klia 2 too.